Quaker Ridge marked the final round on a weekend that included Shinnecock Hills and National Golf Links of America. 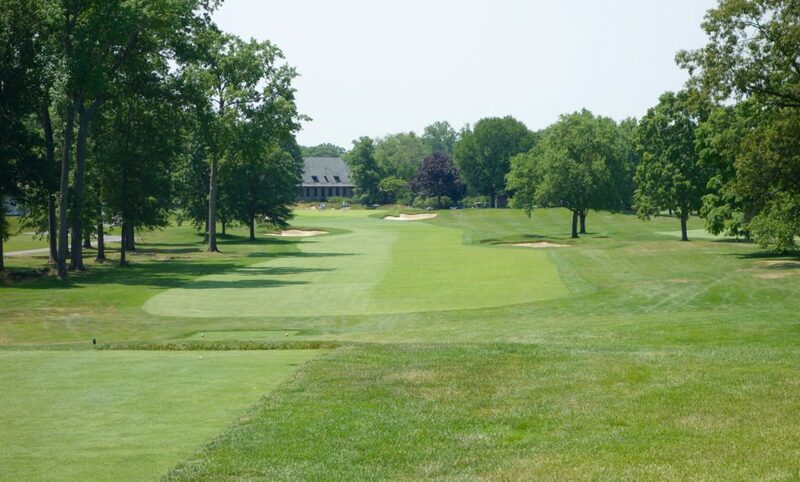 My host member at Quaker Ridge had played those first two rounds with me, and he jokingly warned, “Quaker Ridge will feel like a letdown after those two!” Instead of a letdown, I found a terrific club with a beautiful golf course. And, as you will read below, it beats out many other courses in a few important categories. “Low key” is the phrase often used to describe Quaker Ridge. 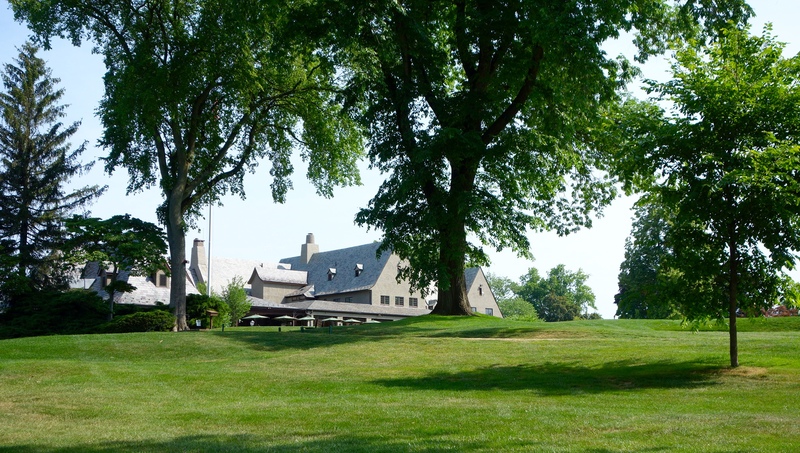 The course features on every top 100 list, and although celebrating its centennial year, it’s not a place that heralds itself as a top 100 powerhouse. I imagine the members are perfectly happy flying under the radar. The course was built when a group purchased the lease to a financially struggling course called Metropolitan Golf Links in 1916. A.W. 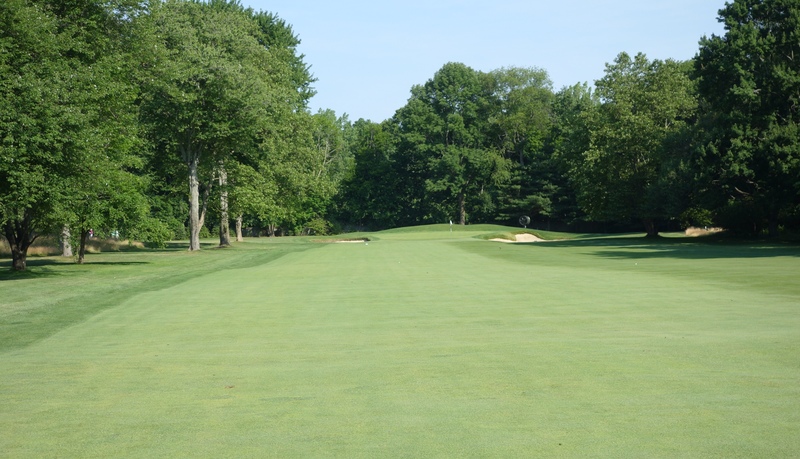 Tillinghast was brought in to revise the existing nine holes and add nine more. 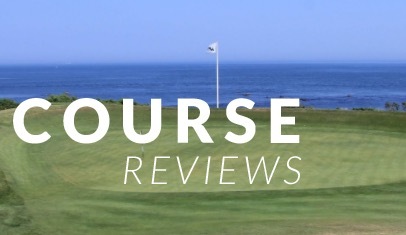 Since then, the course has only undergone minor changes. Most recently, Gil Hanse consulted on tree removal among other small tweaks. Vistas across holes were restored and the natural, rolling beauty of the property remains as intact as ever. 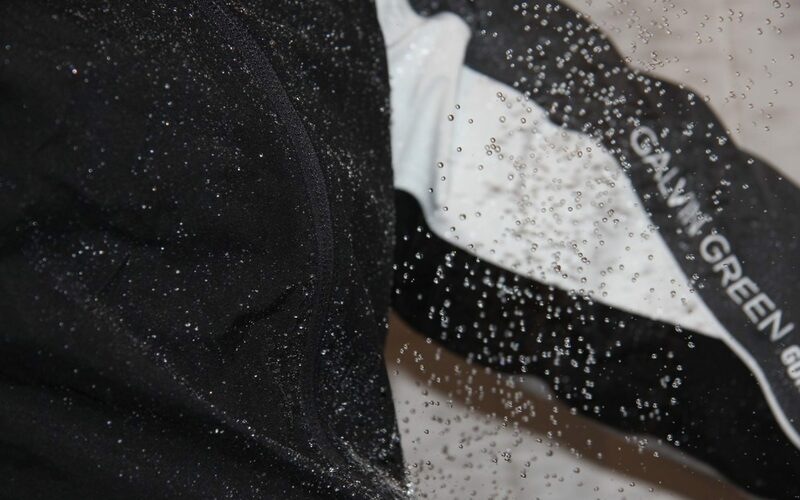 The small details at Quaker Ridge added greatly to the experience. The course was one of the best conditioned that I have seen in years. 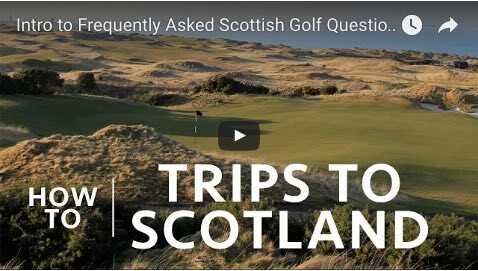 The fairways were firm and tight while the greens were fast and true. My caddie for the day was also the best of the weekend. Not only was he clearly a great player himself, but he quickly learned my game and made some excellent suggestions and reads. Members of staff around the club were also very welcoming, especially those at the turn who made the club’s signature bacon and tomato sandwiches (so good…). 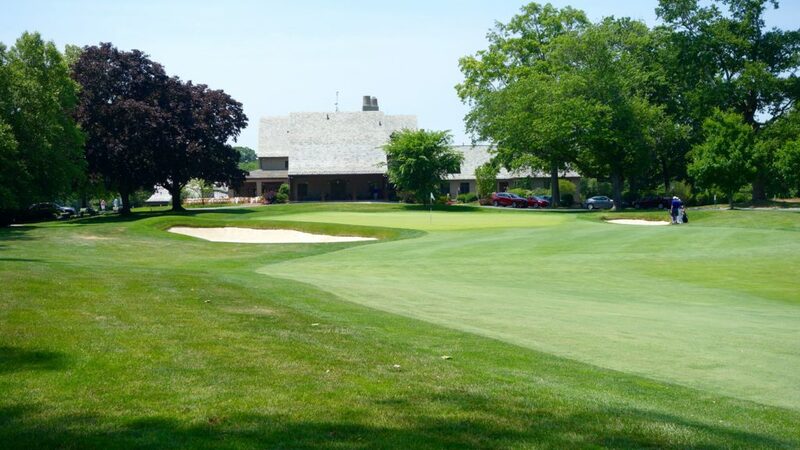 It is natural to compare Quaker Ridge to its immediate neighbor, Winged Foot Golf Club. 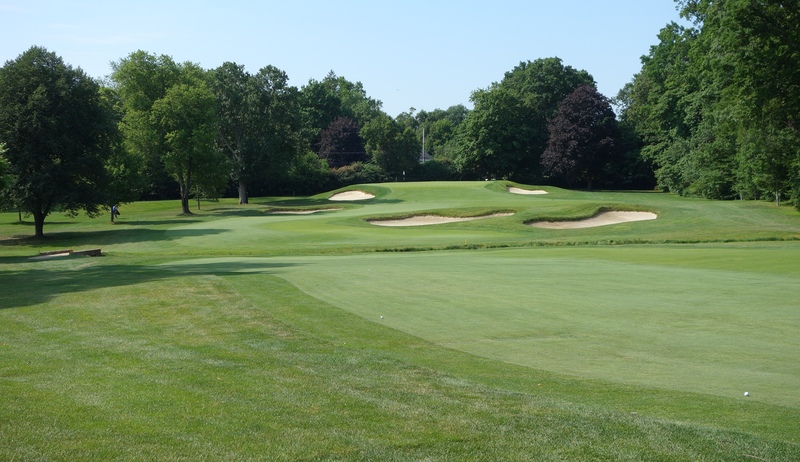 While both clubs have Tillinghast designed courses, the layouts have their own distinct feels. 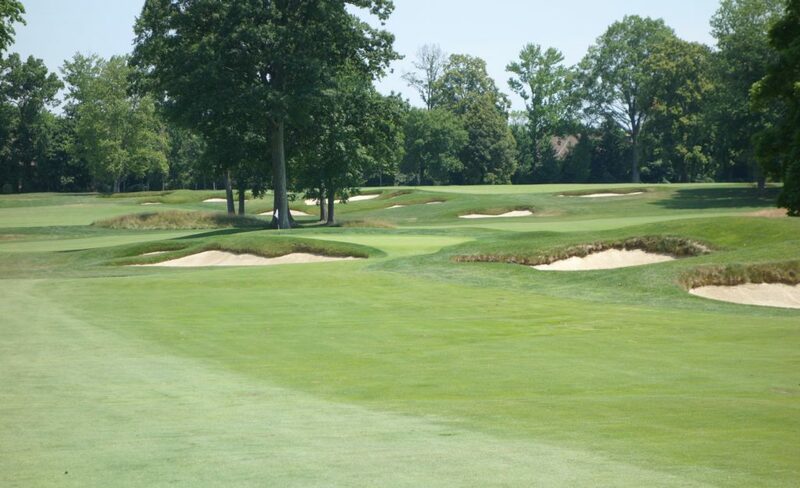 The biggest difference between the layouts is the hillier land at Quaker Ridge compared to the gently rolling, flatter land at Winged Foot. 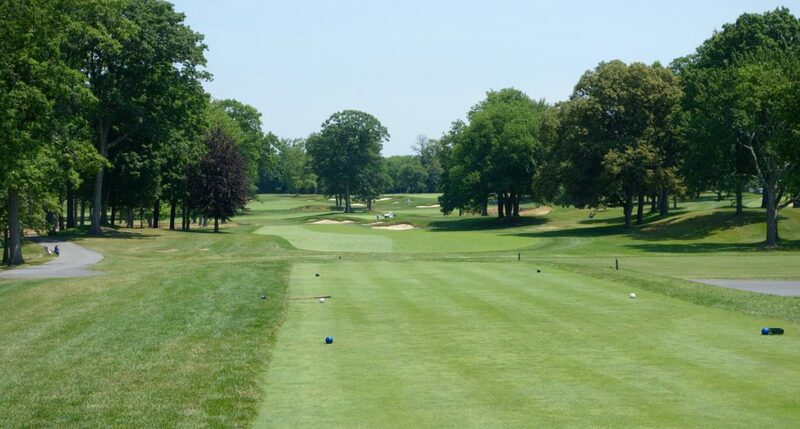 The best comparison is likely between Winged Foot East and Quaker Ridge. 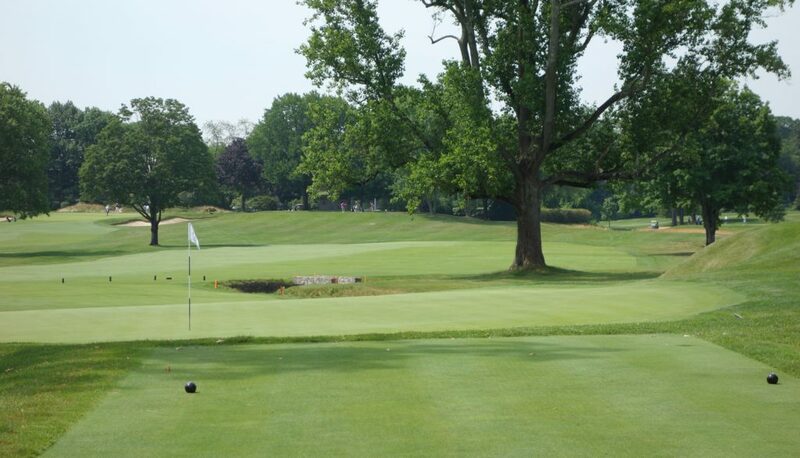 Both courses require thought and finesse to score well, and neither have had to evolve for professional tournament play. 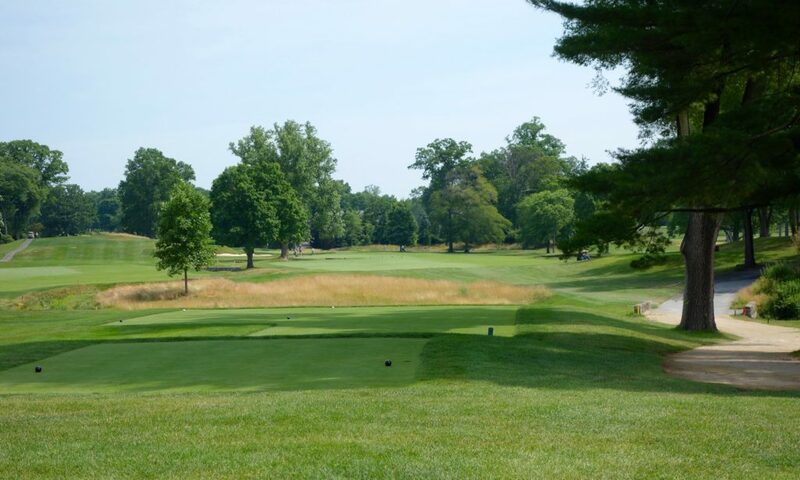 Another great attribute of Quaker Ridge is the lasting memory of the holes. To give you guys a peak behind the website curtain, sometimes course photos completely jumble in order when I upload them into a post. 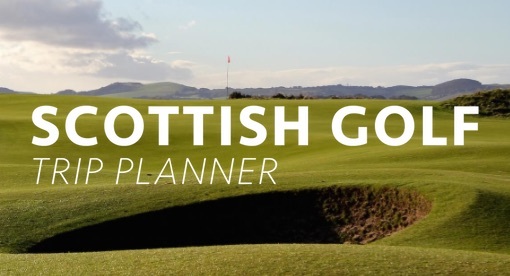 At times it can be weeks after a round when I upload the photos, so I end up needing to refer back to a yardage book or scorecard to ensure that I have the right order. 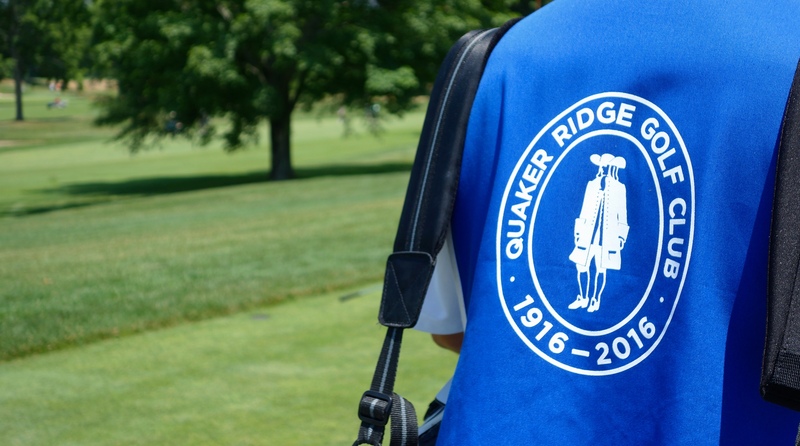 Lo and behold the photos jumbled with Quaker Ridge three weeks after the round, but I immediately reordered them from memory. It’s a great accidental test to assess the memorability of a course! Hole #1 – 527 yards – This opening par 5 plays straight away for 350+ yards before making an abrupt right turn to a green on the hillside. 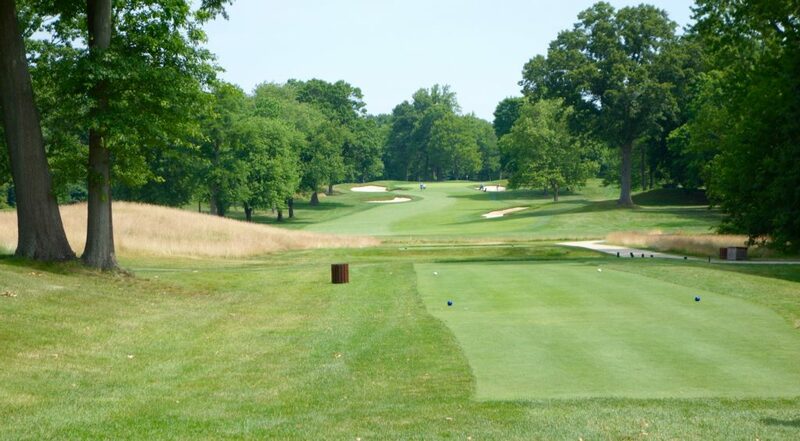 Hole #2 – 425 yards – The second is a reminder that is ever present on the course, don’t miss right! OB features on the right side of many holes on the front. The second is also an example of a tremendous green complex on a flat part of the property. Hole #3 – 451 yards – Miss right on this green and get trapped in the deep greenside bunker. Hole #4 – 454 yards – A large patch of rough splits the fairway in the landing zone. Longer hitters can carry it, which leaves you with the approach seen in the photo below. Aim center green and control your distance here! Hole #5 – 185 yards – You can see this hole from the 4th, and I found myself already strategizing before I had even stepped on the tee. The hole plays slightly downhill and the green played deceivingly small with that front pin. Hole #6 – 478 yards – Even though I sliced my drive OB right, this was one of my favorite holes on the course. Trees were removed down the left, meaning only a creek divides this hole from the 11th. The bunkers on the right were also recently tweaked. It sets up very well to my eye, including the uphill approach to the green. 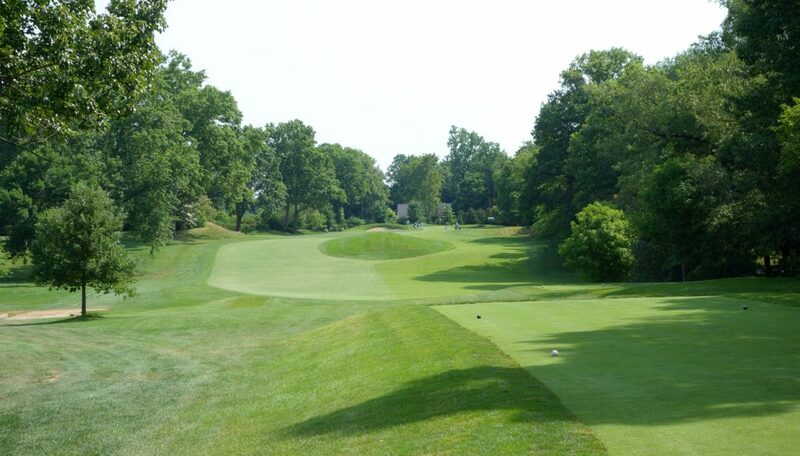 Hole #7 – 437 yards – This sharp dogleg right forces golfers to either get aggressive off the tee, or be left with a long approach shot into this tough green. Anything long rolls off the back of this green. 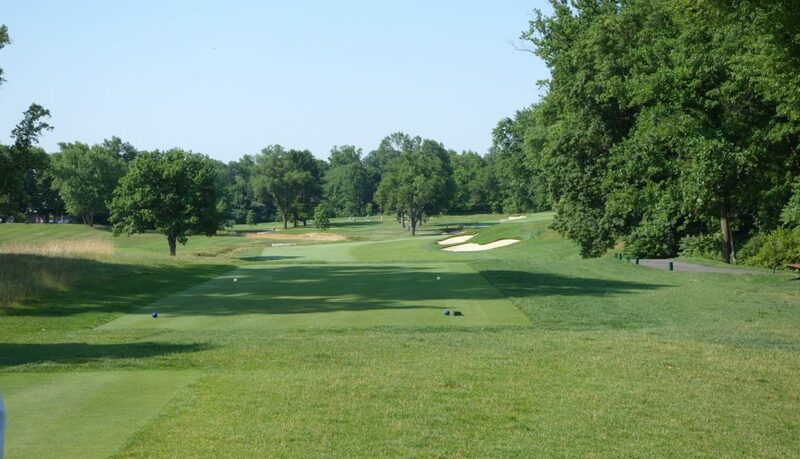 Hole #8 – 359 yards – A large rough area in the middle of the fairway features again here, and as before, longer hitters can carry it and be left with a short iron into the green. 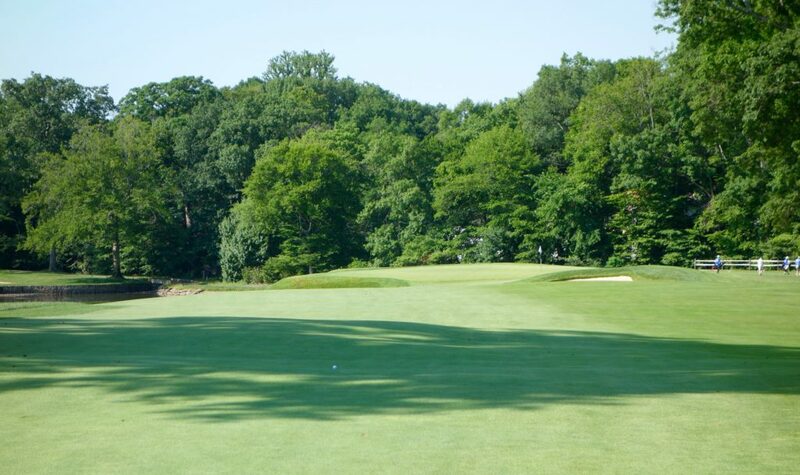 Hole #9 – 164 yards – From the members tees, this hole is only 143 and it is a terrific short par 3. The green is pear-shaped, with the fat base of the pear at 4 o’clock and the narrow top at 11 o’clock. 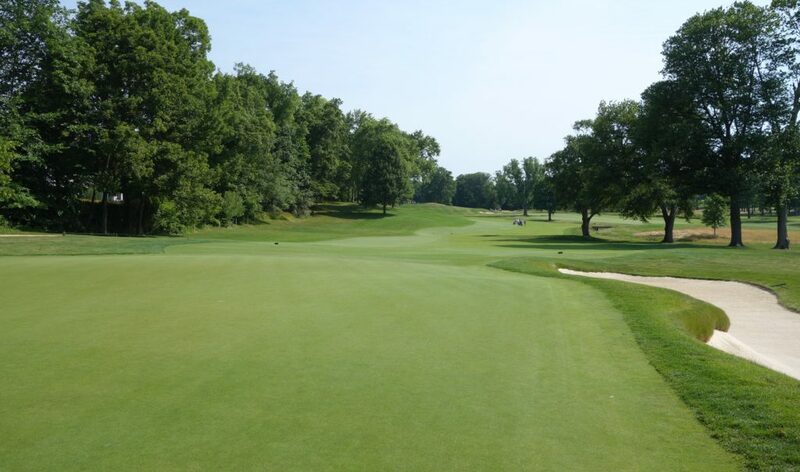 The pin in the photo below is on the tough, narrow portion of the green. This goes down as one of the best short par 3s that I have played. 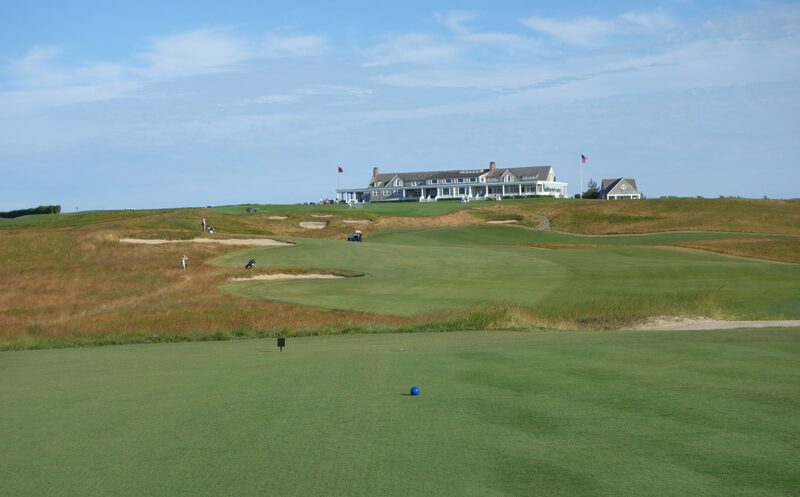 Hole #10 – 201 yards – After grabbing your bacon and tomato sandwich at the turn, you make your way to the long 10th. It is a perfect juxtaposition to the short 9th, with a huge green and 200+ yard length. 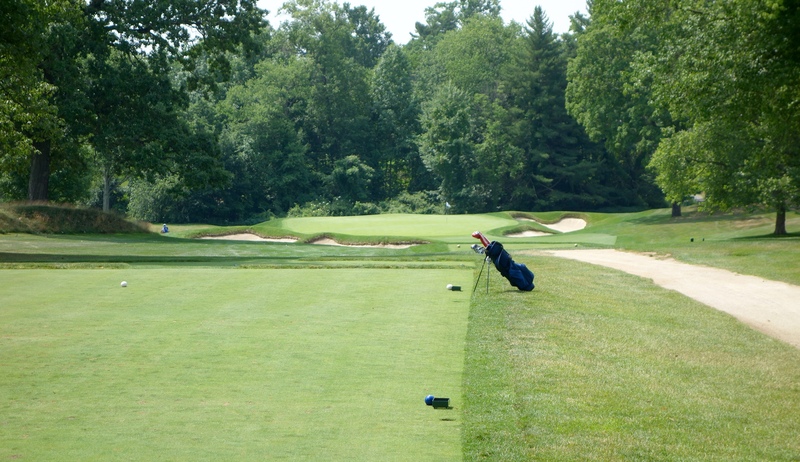 Hole #11 – 406 yards – This hole is considered by many to be the best on the course. It’s tough to disagree! Trees were removed down the left side of the hole and the fairway was extended further left. 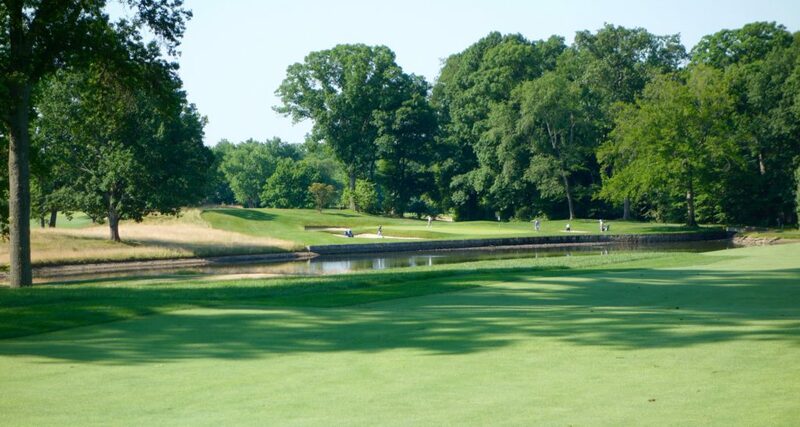 The creek running in front of the green catches any approach shots that are short or spin back off the front. When the greens are running fast you could even putt back into the creek. Click on the second photo below to see an enlarged view of the approach. 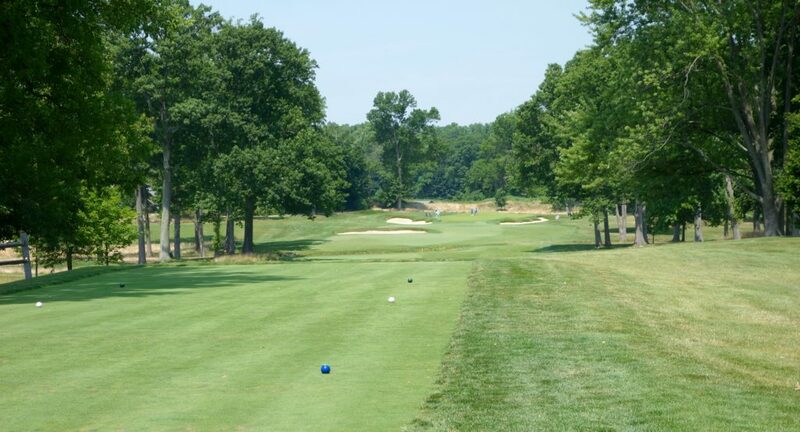 Hole #12 – 446 yards – This beautiful uphill par 4 plays longer than the yardage. Hitting the fairway is paramount to set up a good approach to this green. 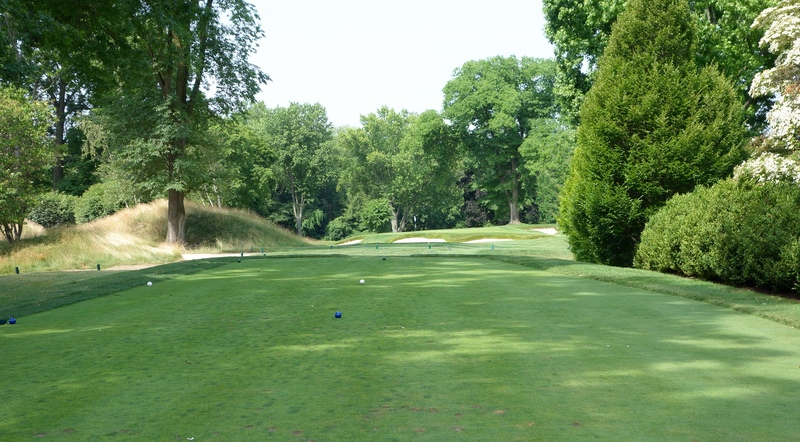 Hole #13 – 234 yards – While this may look short in the photo below, it’s not! 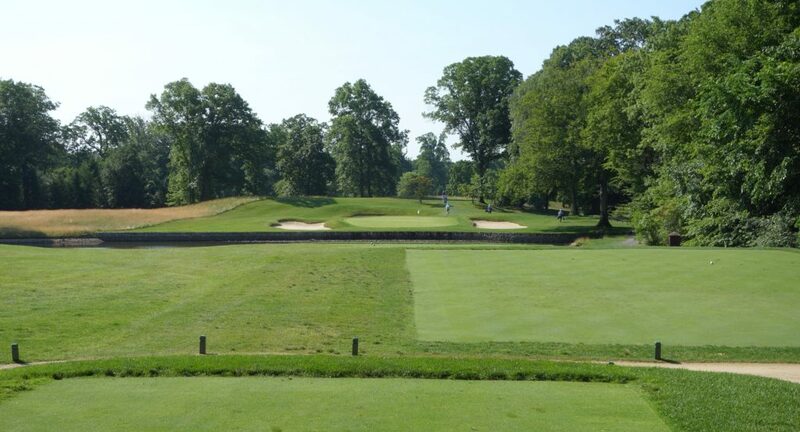 Tillinghast masterfully placed the bunker on the left to make it appear greenside. There is actually about 50 yards between that bunker and the front of the green. A ridge crosses the green, making this hole even more tough. 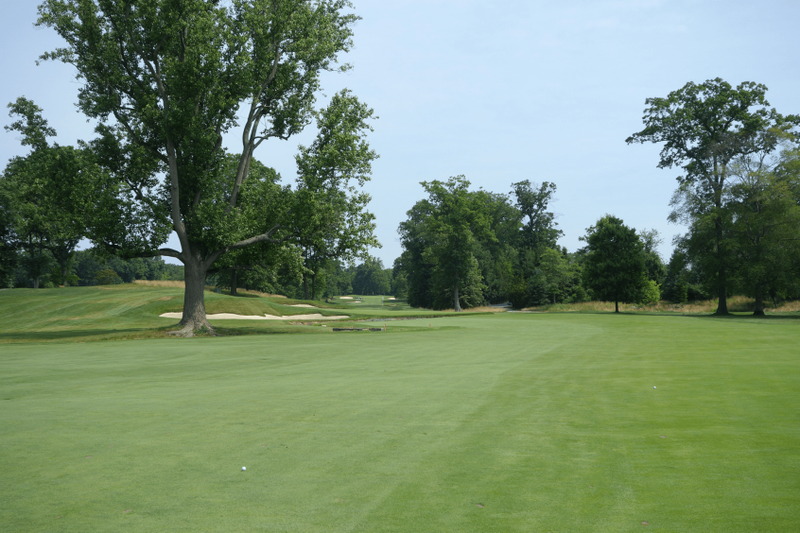 Hole #14 – 576 yards – It would be a disservice to ignore the 14th hole. 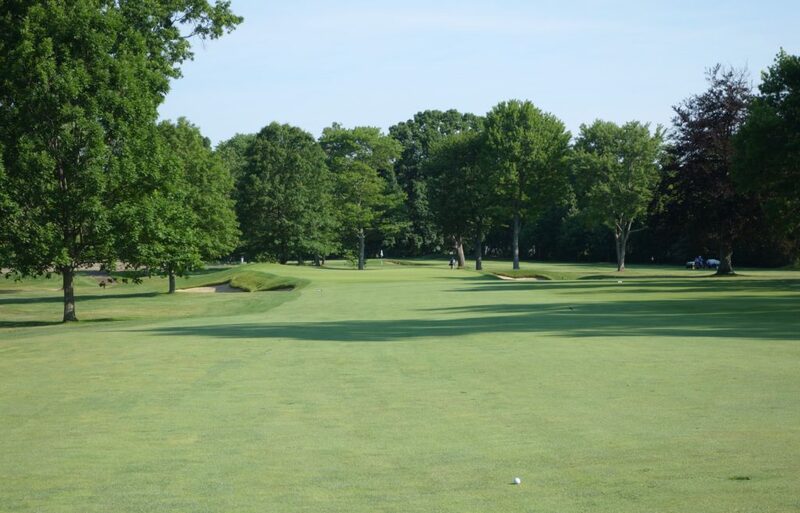 It is a beautiful, sweeping dogleg left with a bunker down the left side of the fairway. The green sits above the fairway, creating a blind shot for players attempting to reach in two, and a tricky non-blind wedge shot for those who lay up on top of the hill. As sometimes happens, I was more concerned with soaking in the hole and playing well than taking a photo here… oh well! 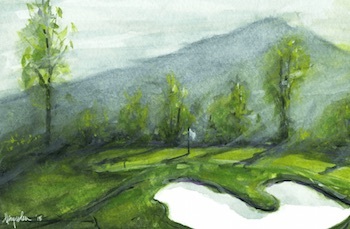 Hole #15 – 408 yards – Longer hitters can reach a creek that crosses this fairway, but, lay up too short and you’re left with a long approach into a difficult sloping green. 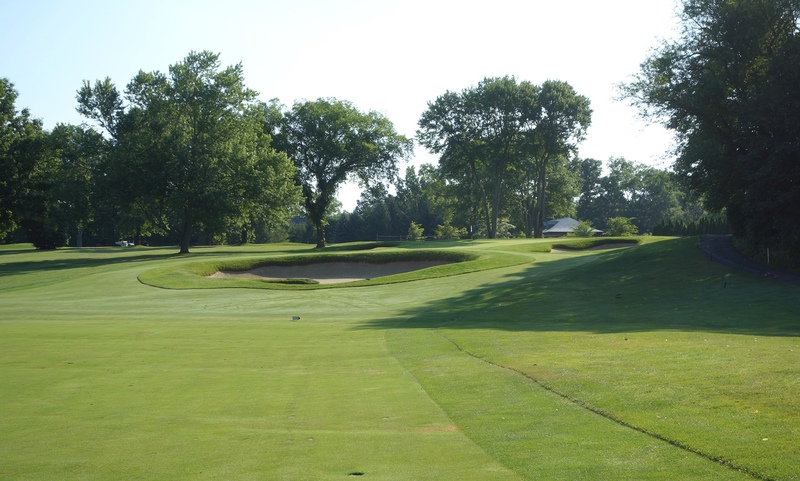 Hole #16 – 430 yards – The best angle into this green is on the right side of this fairway, but those darn bunkers on the right narrow the fairway down considerably. 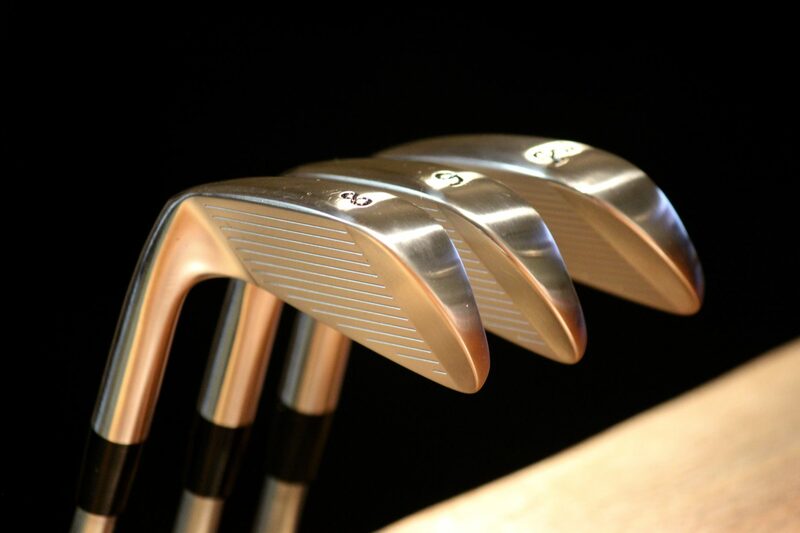 They aren’t deep, but they are just tough enough to ensure you don’t walk away with a four. Hole #17 – 371 yards – The 17th actually doubles as a driving range in the mornings before players make the turn. A large grass practice tee is located rear and to the right of the actual tee box on the hole. Due to that warmup session, I “practiced” my tee shot on this hole quite a bit! It was one of my favorite approach shots on the course. Hole #18 – 456 yards – The final hole is not an easy finish. The green is large, but any mishit shot is caught by difficult and deep greenside bunkers. The beautiful stone and stucco clubhouse frames the green nicely. 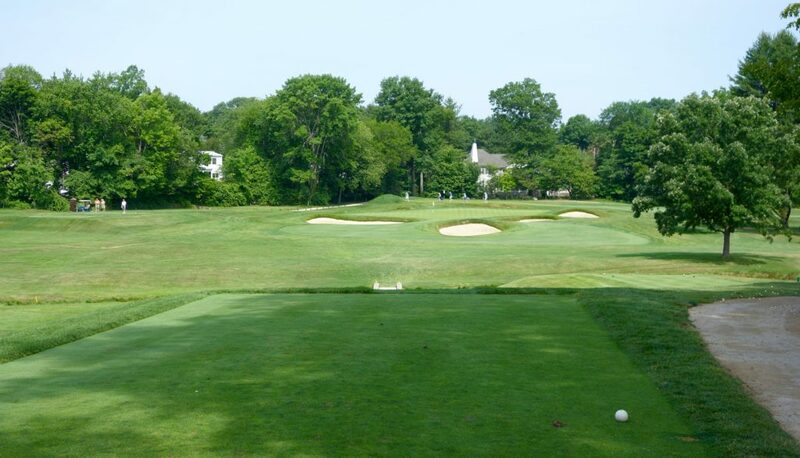 The more I think back on the round at Quaker Ridge, the more affinity I feel for the course. The course is routed perfectly across rolling hills and despite playing from the tough rear tees, the round was very fun. 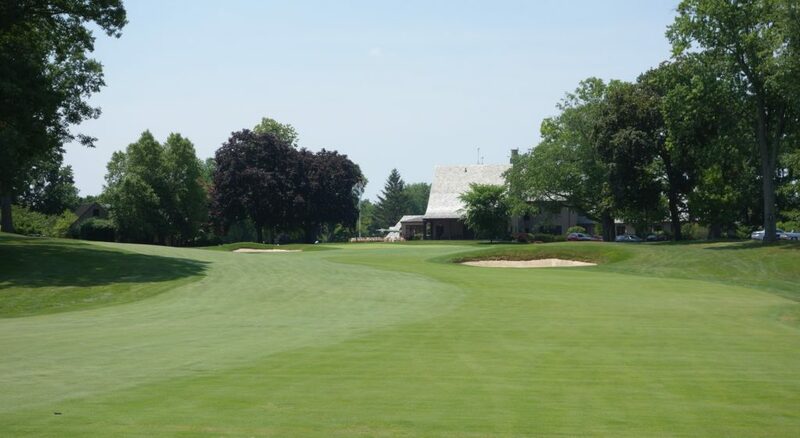 Prior to the round, I reached out to a few New York friends who had played Quaker Ridge before. One described the club as “pure,” and he was pretty spot-on. 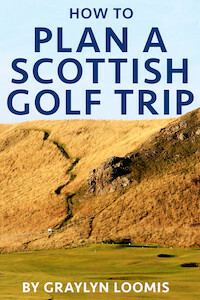 It is a pure golf experience with everything you could need at a classic golf club, and not much more.